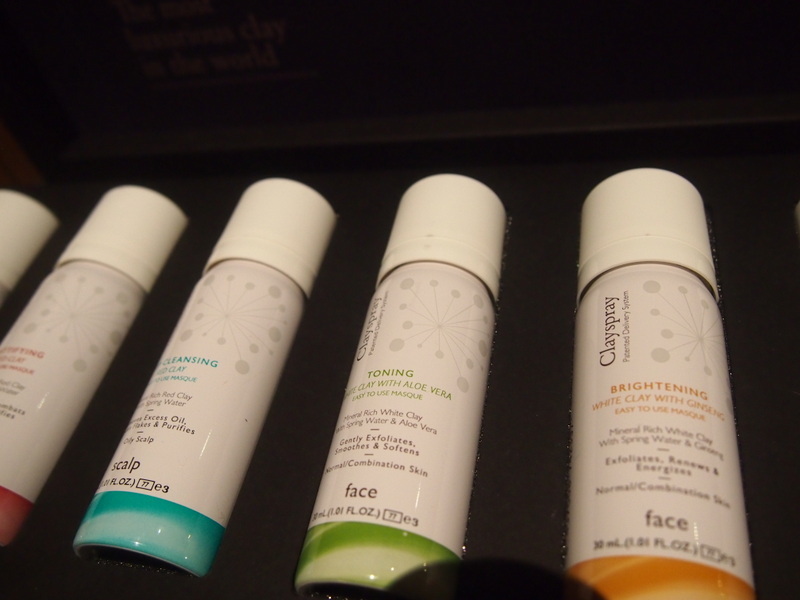 Clayspray – a revolution in skincare. I’m a hoarder of masks. I love the concept, the ingredients and the pampering aspect but my current living situation and the fact I have an irritating 1 yr old puppy harassing me at every turn means I get little time to lie back and chill out. I need a quick and effective mask that isn’t going to slide off, doesn’t require steamy conditions and is easy to clear up. 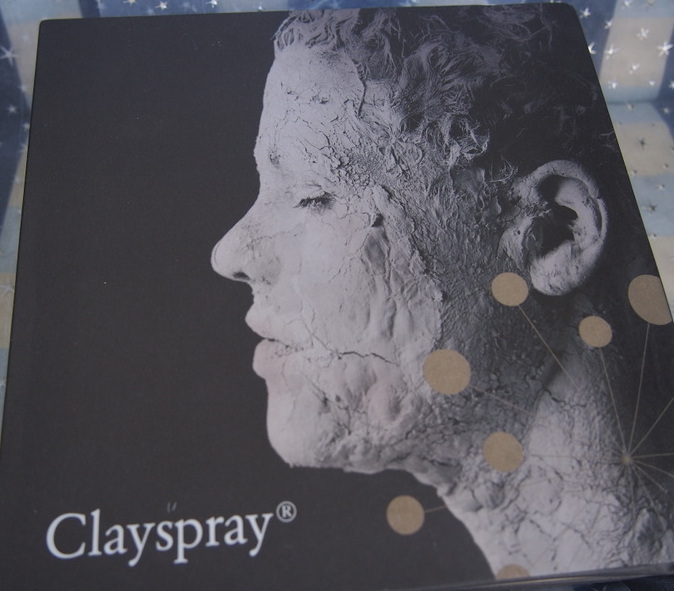 Clayspray is a new invention – the world’s first clay spray emulsion – it delivers pure and untouched clay from deep within the earth in a pump system so you can apply straight to your face. This all sounds great – slap it on, leave it 10 mins and spritz off with the water spray or soft wet cloth. But there’s a little more to it than this – we aren’t just talking mud here, lying around on the surface of the earth. This particular clay, whether it’s the white or red clays, have been untouched by man since their geological formation millions of years ago. Hence no pollution, free radicals or impurities. 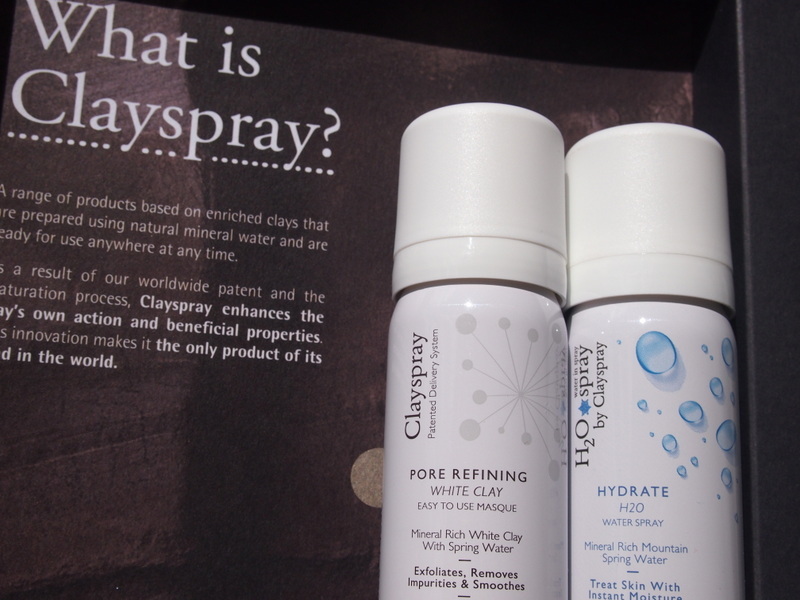 Even better -the #1 ingredient in the Clayspray is in fact clay! 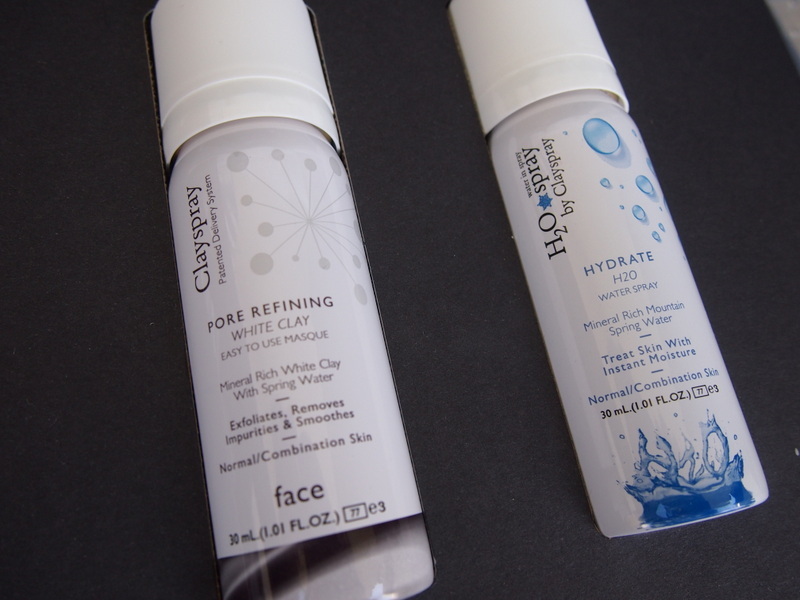 How many skincare products can say that? The ingredients list may look limited but that’s because the clay contains so many beneficial properties within the minerals eg silica, calcium, potassium. 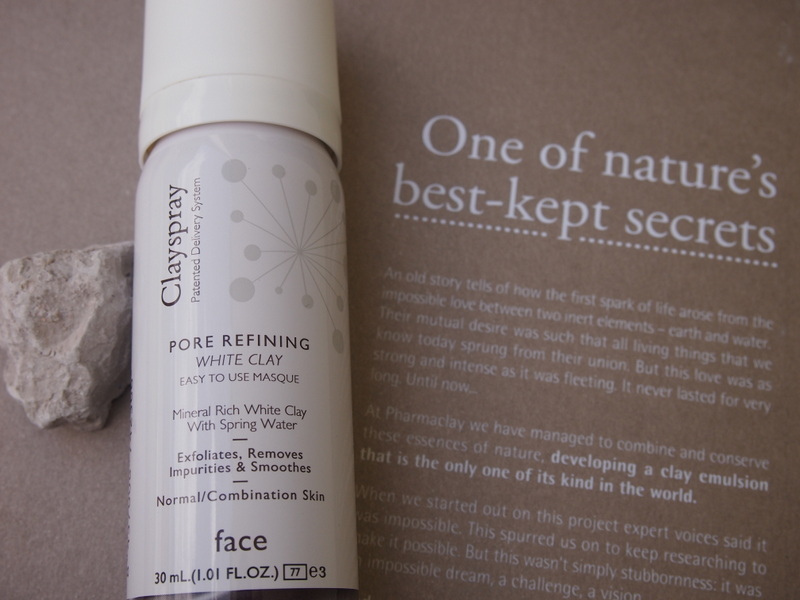 The Pore Refiner – White clay with cardamon seed oil. 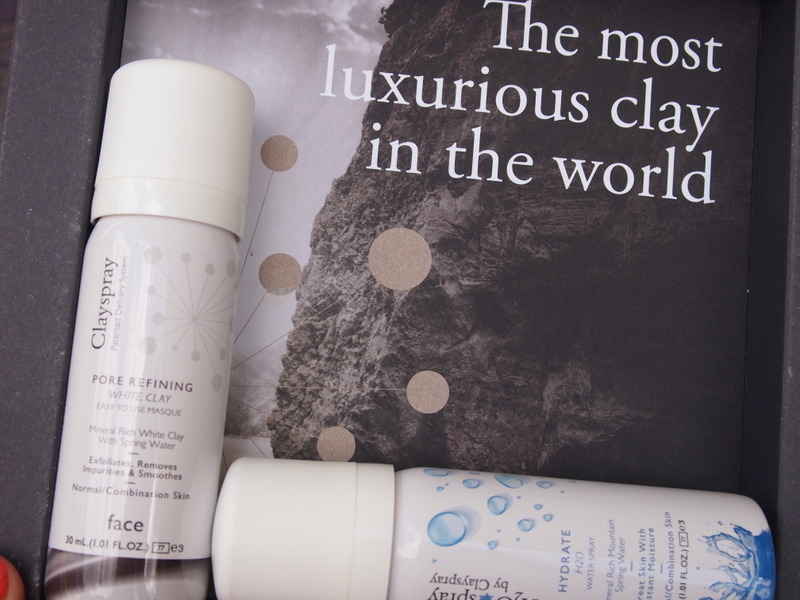 Hydrate and Comfort (with green tea)) are the two mineral H2O sprays to use with the clay – it’s sourced from an ancient well deep in Spain’s Iberian mountains. Another pure source of goodness! Next Story → The Lift – 8 minute facial power lift!